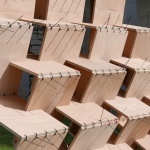 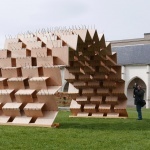 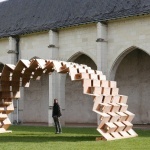 The Accordion Arch is an experimental project about modular structures. 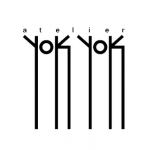 It was lead by Atelier YokYok with students from the Superior Art & Design School from Orléans (France ESAD Orléans). 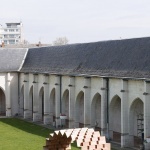 The Accordion Arch is visible at the ESAD Orléans until April 19 2019 as part of the Festival Inopiné. 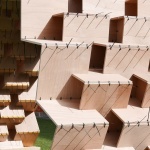 The project is part of a research program on modular structures with the ESAD Orléans School. 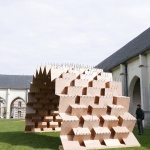 This experimental project is intented to be built in the Château de Chambord’s stables in France. 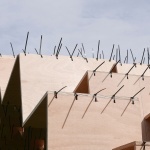 A first week of workshop for design was lead during January 2019 with students of the ESAD. 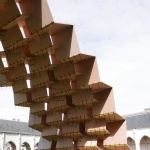 A second workshop phase dedicated to the construction occured at the beginning of April 2019 for the setting up of the first Accordion Arch prototype at scale 1. 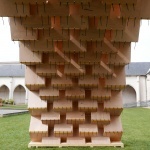 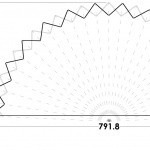 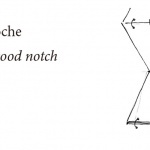 The Accordion Arch is first of all, the result of a research work about notches in wood panels. 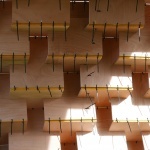 This work lead along January with the students allowed to produce a set of models around 5 proposals. 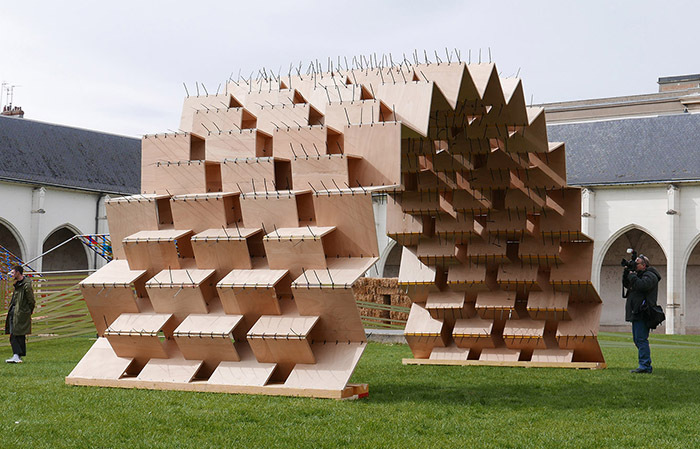 Driven by material and detail saving, the projects represent different ways to generate a space from the addition of simple modules. 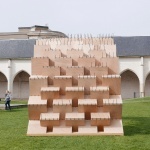 At the boundary between Architecture and Design these works question the link with the material, the assembling detail, the volume and the quest for stability by the wood notch or folding, as well as the change from reduced scale to scale 1. 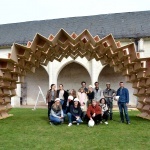 The Accordion Arch is formed by 182 plywood panels of 22mm thick and 890 plastic clamping collars. 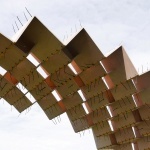 It is autostable and rigidified with plywood diamond stiffeners inserted between the modules. 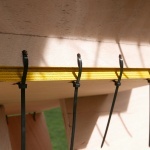 The structure doesn’t count any screws and the only details are the wood notches and the seams with clamping collars.